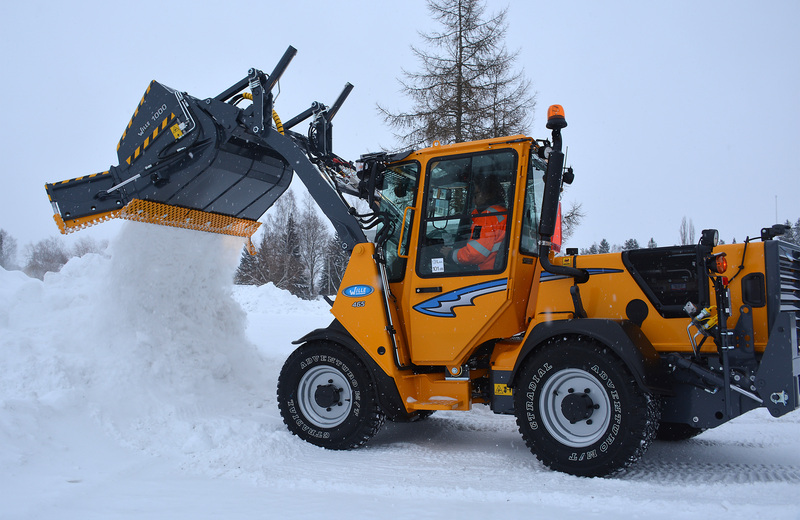 The multi-function bucket is designed for collecting and loading snow from yards and parking areas Owing to the wings, it can also be used for plowing To collect snow, you can use the wings to widen the plowing width by one third or choose to use only one of them. 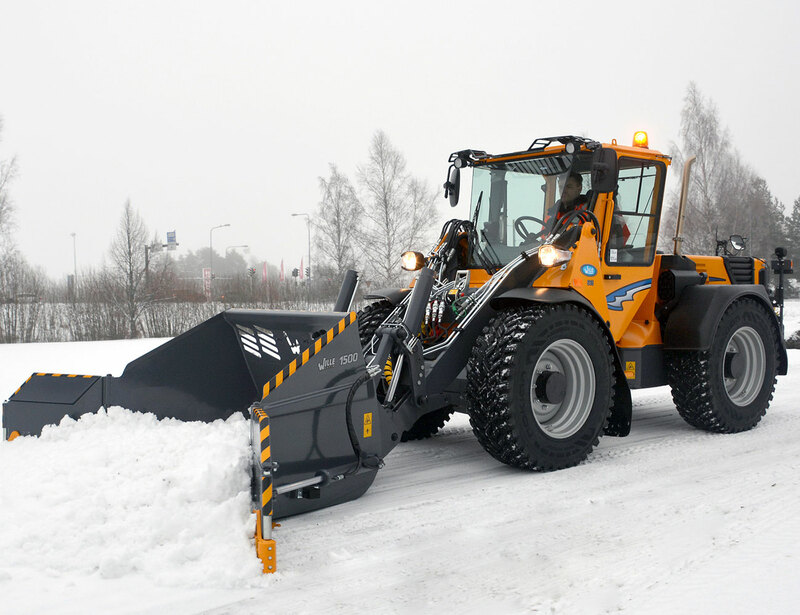 Spring-loaded blades guarantee that the attachment does not start to steer the machine, but rather makes it adjust to the movements of the machine and the shape of the ground surface. The swing cylinders in wings are equipped with safety valves which prevent damage should the bucket bang against an obstacle. 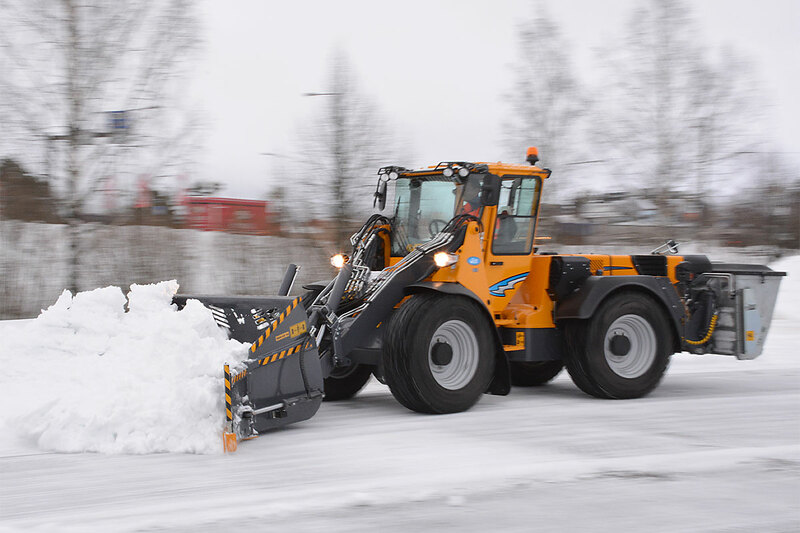 For the wearing surface, in addition to a straight-edged blade, a punched blade is available, which leaves the ground less slippery and slightly more rough after snow plowing.